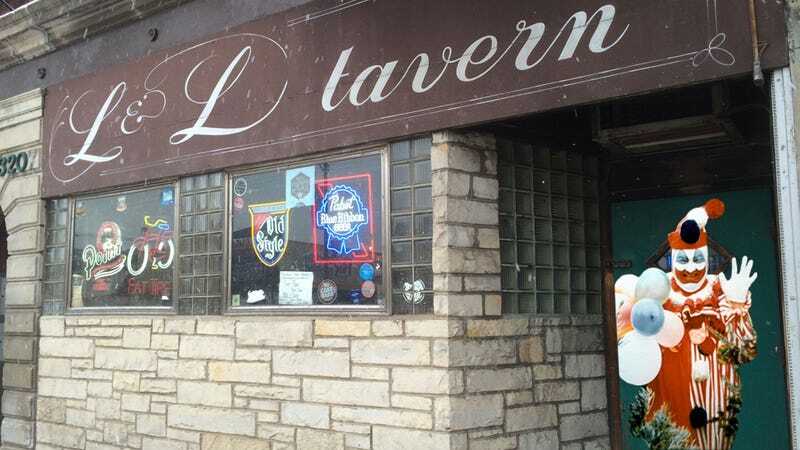 At first glance the L&L Tavern in Chicago looks like your everyday American bar… but the patrons here have been anything but ordinary. The L&L Tavern is the only bar in the country to have not 1, but 2 serial killers pull up a stool. Last week we couldn't help but stop by for a couple beers and see the favorite watering hole of both Jeffrey Dahmer and John Wayne Gacy. According to the bartender, Dahmer was a regular who sat in the corner and acted just as weird as you'd imagine. As he sat he also scoped out potential victims across the street while flirting with the occasional bartender or patron. The bartender also confirmed claims that Gacy showed up in full clown costume from time to time. "Yeah, he had a contractor job up the street and stopped by dressed as a clown," he told us.